Converts a disk from MBR to GPT partitioning without modifying or deleting data on the disk. without performing the actual conversion. and performs the actual conversion. - Specifies the disk number of the disk to be processed. If not specified, the system disk is processed. are created in the %windir% directory. 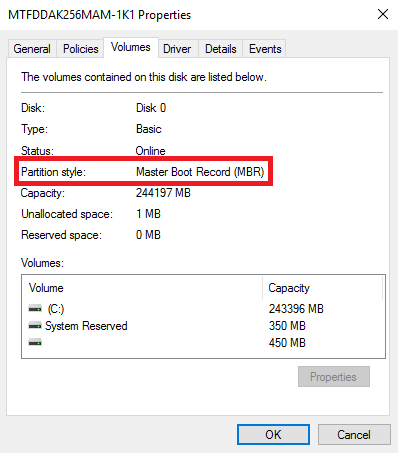 given MBR partition type not recognized by Windows. Multiple /map switches are allowed. from the Windows Preinstallation Environment.